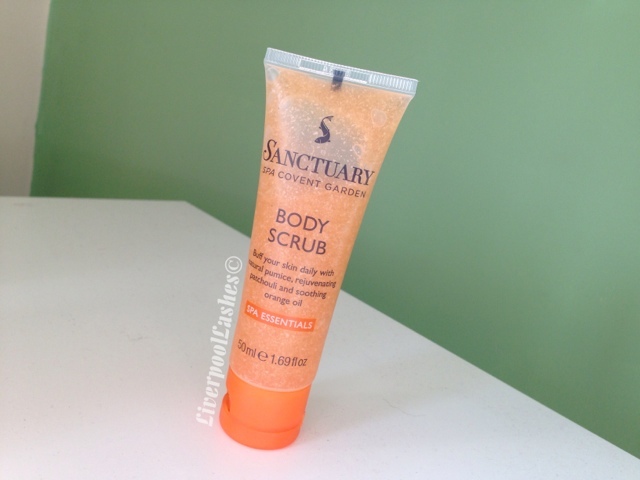 If you've been reading my blog for a while you'll remember my review of Sanctuary Body Wash and how much I love it. Now I feel like when a younger sibling starts school and all of the teachers expect that they'll be as clever as their older brother or sister here as I had really high hopes that I would love this body scrub equally. So I crack open the bottle and enhale that gorgeous signature Sanctuary scent - ahhhh!! It's just such a luxurious fragrance. I climb into the shower and prepare to scrub away my fading tan in prep for the next one and it was all down hill from there. This is basically a very gentle body scrub, almost more of a body wash with a couple of scrubby beads in it. The bottom line is... this scrub couldn't even remove the tan that was actually sat on the surface of the skin. I could actually scratch it off with a swipe of my nail though! If it's part of a gift set then it's usable but don't expect this to actually scrub very much...!